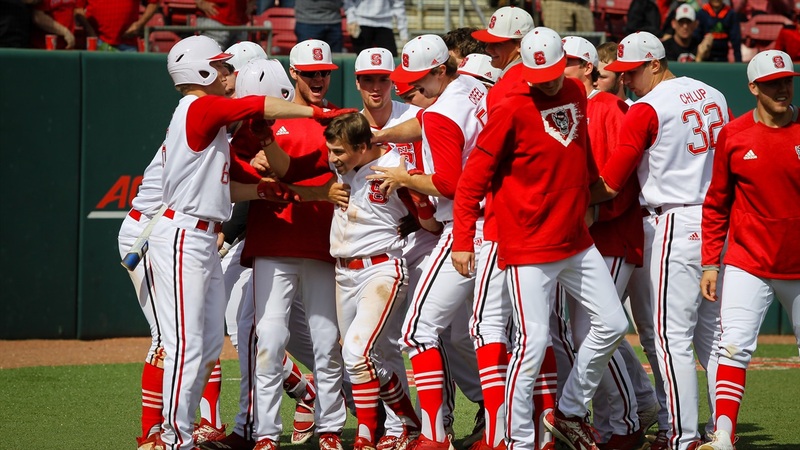 It marked NC State's first series loss of the season, as the Wolfpack falls to 29-7 (12-5 ACC) while the Cardinals improve to 27-8 (12-5 ACC) on the year. -Will Wilson hit a leadoff homer to left, his team-tying 10th of the year, to get one back in the home half of the third. -Bailey and Edwards extended their reached base streaks to 35, and Edwards extended his hit streak to 16. -Starting pitcher Jason Parker (3-2) was charged with the loss after going five complete. -Starting pitcher Reid Johnston (5-1) was credited with the loss after going 3.1 innings.